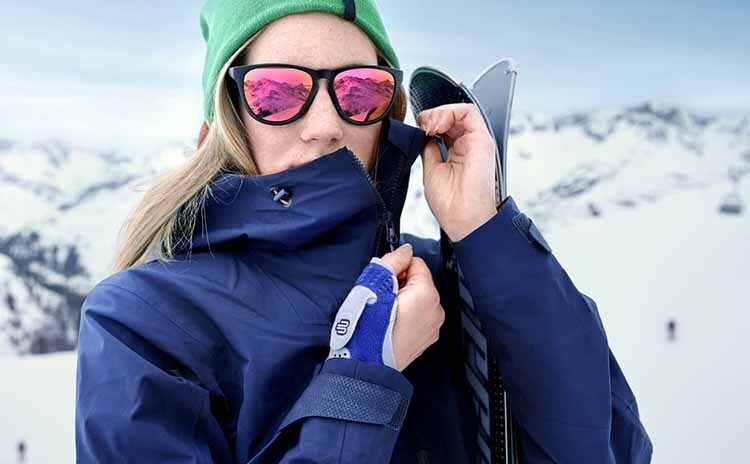 If you’re suffering from Skier’s Thumb, trigger thumb or arthritis the RhizoLoc thumb splint will offer effective stabilisation and relief. 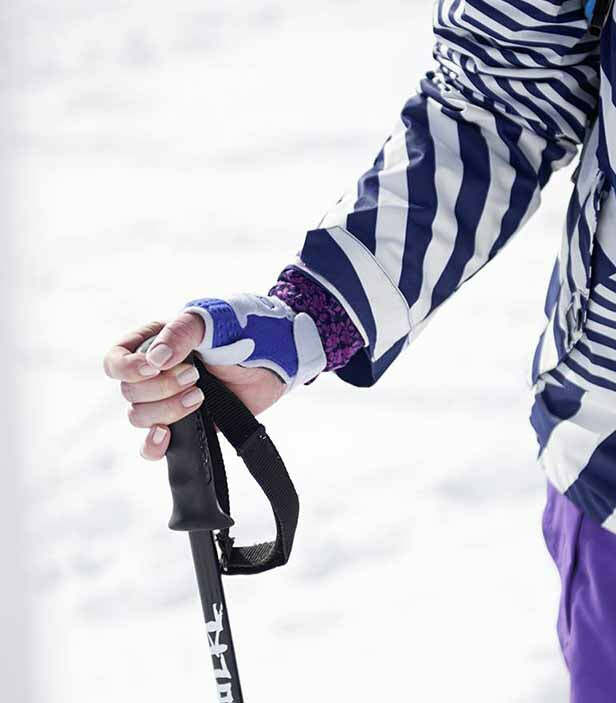 The orthosis boasts an individually adaptable aluminum stay which stabilises the thumb saddle. This allows for optimal healing of the affected ligaments. The RhizoLoc sits securely in an anatomically correct and comfortable position on the hand for effective therapy. 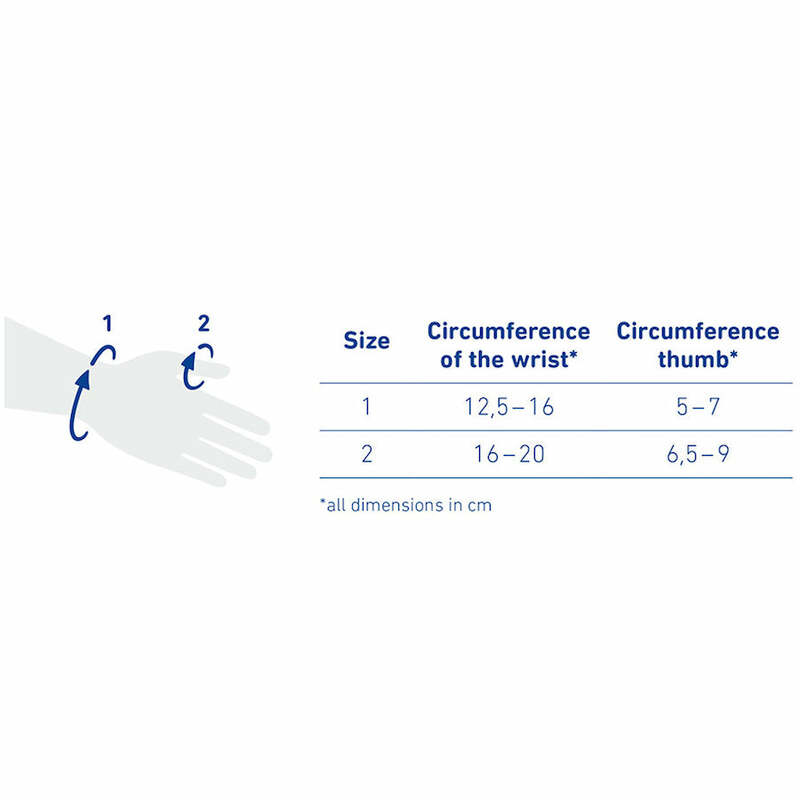 Measure the circumference of your wrist at its narrowest point (1). 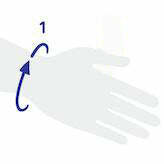 Measure the circumference of you thumb at its narrowest point (2). RhizoLoc should feel snug and firm but not constrictive. All Bauerfeind thumb braces have a 1 year warranty and qualify for our 30 day size exchange policy.